Using music from the band’s new record Tropicoso as inspiration, the film takes viewers back to the decade of funk and flares, offering a new creative solution to the music video format we have come so accustomed to. 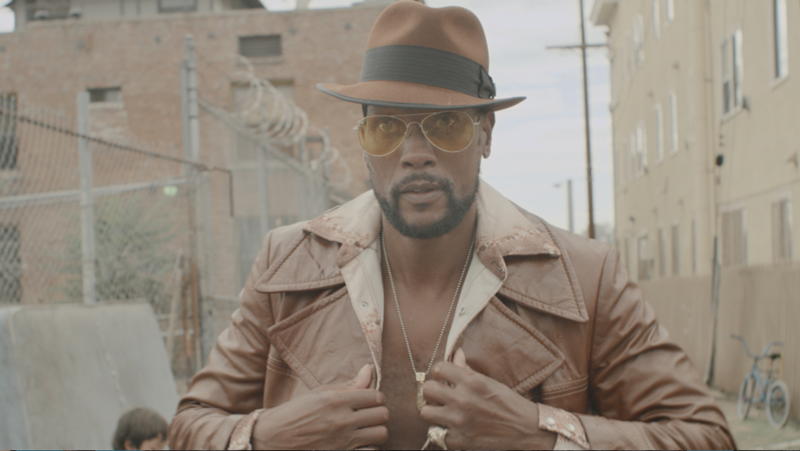 The 9 minute short, shot in LA and produced by Walter Pictures, provides a visual representation of the whole album, and takes inspiration from Blaxploitation Cinema. 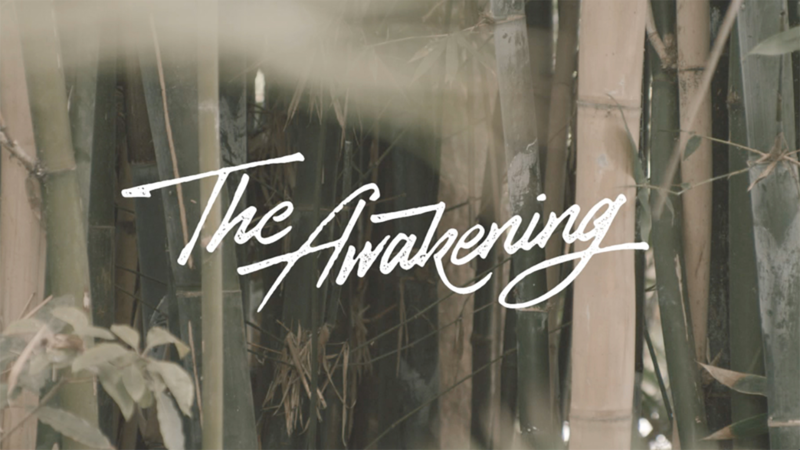 It follows the story of Culebro, a stylish Soldier of Funk, sent on a mission to gather a group of accomplices (‘The Players’) in order to take on ‘The Jungle’ and initiate ‘The Awakening’. But will their funky beats be powerful enough? With its laid back, funky style, the film aims to highlight the sense of euphoria that this Afro-Latin Funk music induces. We caught up with the directors Alejo and Roger to find out more about their creative style, and how they worked with Mill junior colourist Jim Bracher on the grade. Tell me a bit about your style and how you started directing together? Alejo: My style as a director is driven by my passion and experience in Art Direction. I’m strongly influenced by my photography, and my video work tends to be characterized by its stylized imagery that accompanies simple and enjoyable stories. For me, the beauty is finding the right balance between old and new and not underestimating new technology. We’re at a point in history of creative reflection. For years we’ve explored numerous styles, forms, and mediums, but with the information and technology we now have, we can gather our favourite elements together from any point in time and transmit them to a current audience in the time-eclectiv style that they enjoy most. Roger: I’m strongly influenced by the post-production process, as I used to have a background in editing. I first picked up a camera when I used to skateboard and became really inspired by film, this has really lent itself to my current style. Nowadays we’re bombarded by so many different visual opportunities that directors must have a chameleonic approach towards any project, whilst always trying to maintain their style and taste. I like to depict things in a modern based style, experimenting in the editing process and mixing older and newer media. I really enjoy working with the aesthetics of the past decades, adapting them to the new times. Coming from an urban perspective, I like the beauty of decay, and I always try and scout locations myself in my spare time. Alejo: we met in our first year of college and have been collaborating ever since. As soon as I was contacted about the project I invited Roger onboard because we’ve always worked well together, and even though our styles are different I think they compliment each other for a project like this. What’s the inspiration behind Firewalker? Alejo: I’ve been obsessed with Blaxploitation cinema for years, and when I went out the Jungle Fire’s London show and hear their music, I knew this was the perfect opportunity to put that style into use. The film’s storyline is based around how Jungle Fire formed as a band. The narrative, characters, and visual style are strongly inspired by Blaxploitation, but re-worked to suit our times. Are you a fan of Afro-Latin Funk music? What do you feel it represents? Have you tried to bring this across in the film? Alejo: I’ve been collecting funk vinyl for the past eight years, but Jungle Fire’s music is something extraordinary that neither myself, nor Roger had heard before. It’s the eclectic nature of the music and its heavy percussion that really caught my attention. We wanted the film to highlight the sense of euphoria that this Afro-Latin Funk music induces and represent the melting pot of Latin cultures that have enriched Los Angeles. Hopefully, the images accompany the positive sensations that the music brings and amplifies them to a cinematic level. How essential was the grade to the final look? Alejo: From the get go, we knew that the grade would be one of the most important tools to bring a contemporary feel to the film. What we visually went for is a very peculiar look for the ‘genre’ of film that Firewalker is. The obvious answer would’ve been to have highly contrasted images with vivid colors. But we knew that the grade was a great opportunity to bring a modern look to the film, and create an original piece rather than trying to copy the typical 70s film look. We were looking for a flat grade, dusty blacks, and slightly milky whites and Jim’s magical touch really brought the film to life. From the outset we wanted to avoid the obvious. Jim: From the outset we wanted to avoid the obvious. With the wardrobe, narrative and score being very much of the seventies era, it would have been easy to go down the route of grading it to look like it was lifted straight out of a Blaxploitation movie or an old school detective show, but rather than a high contrast, gritty look as one might expect with such material, we treated it with more contemporary sensibilities, keeping the contrast restrained and the blacks lifted. Despite the apparent juxtaposition, it worked really well, and I'm glad we tried something a little different, avoiding being cliché with the grade. Going for a low contrast look can be deceptively tricky. You have to pay particularly care to each and every adjustment no matter how minor. Working within the confines of a smaller dynamic range, the slightest change can make a big difference to the overall look. It's easy to lose control because everything becomes so nuanced. It's all about the subtleties.